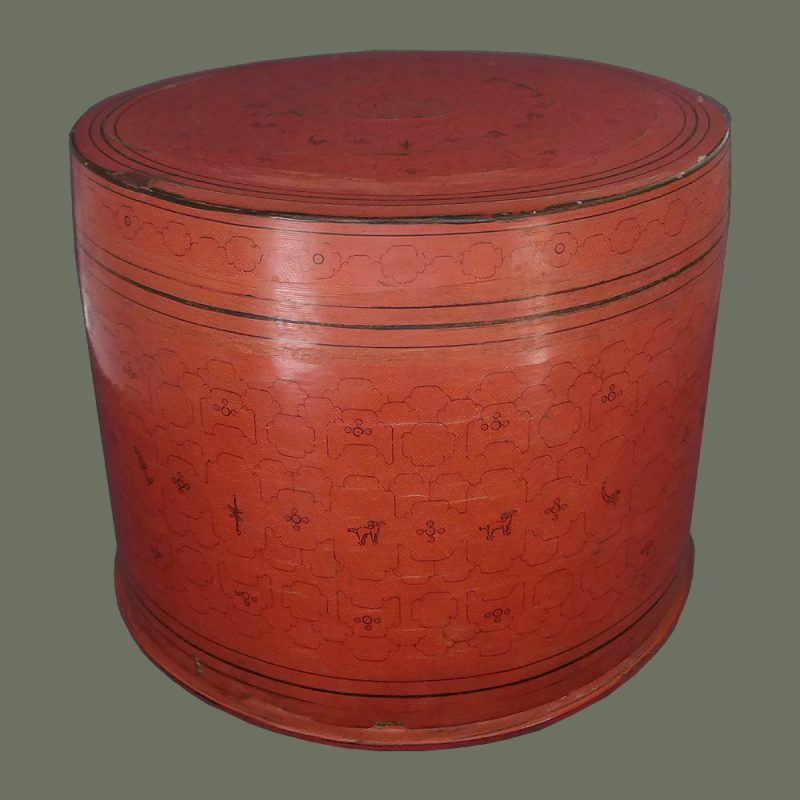 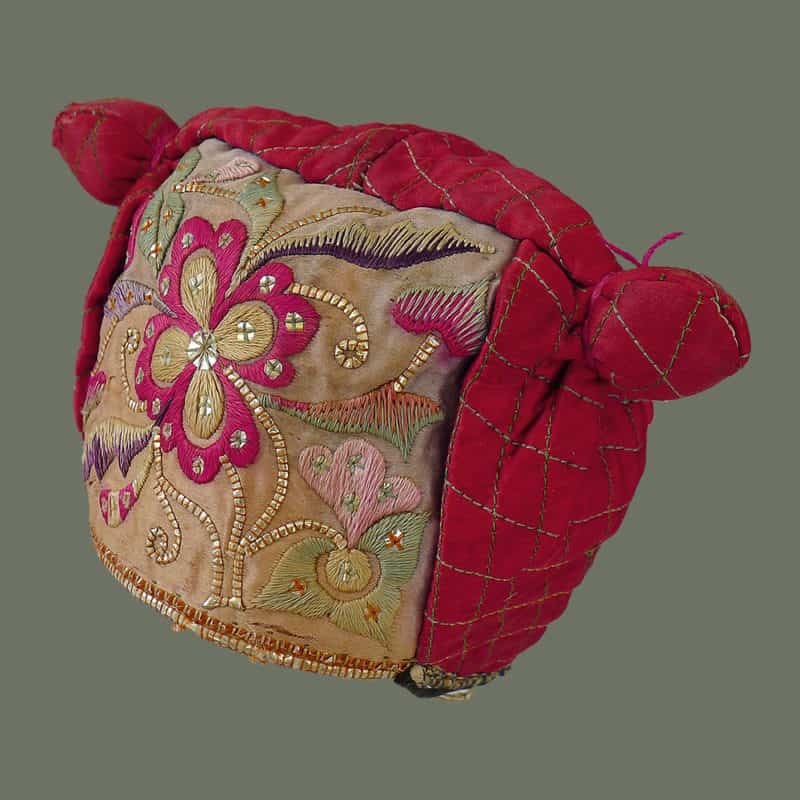 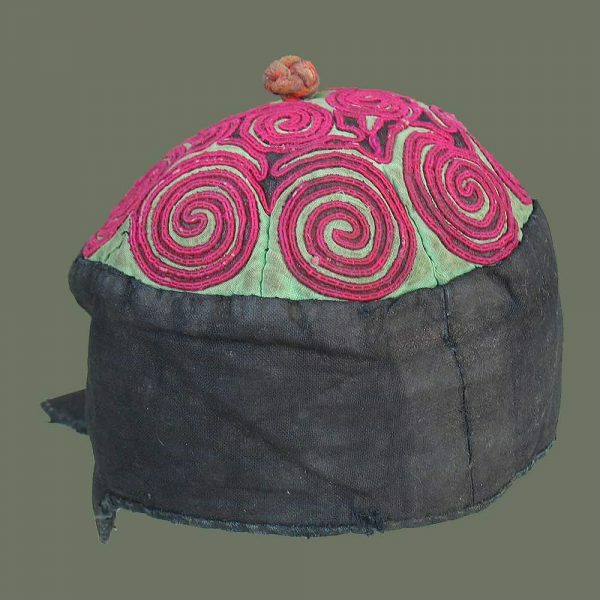 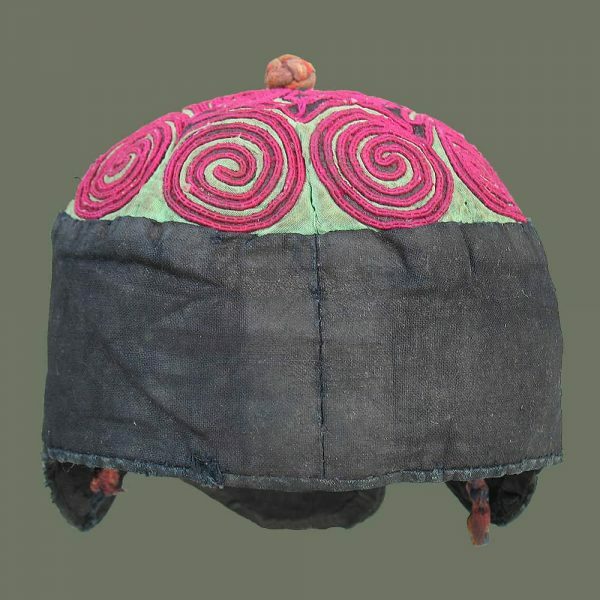 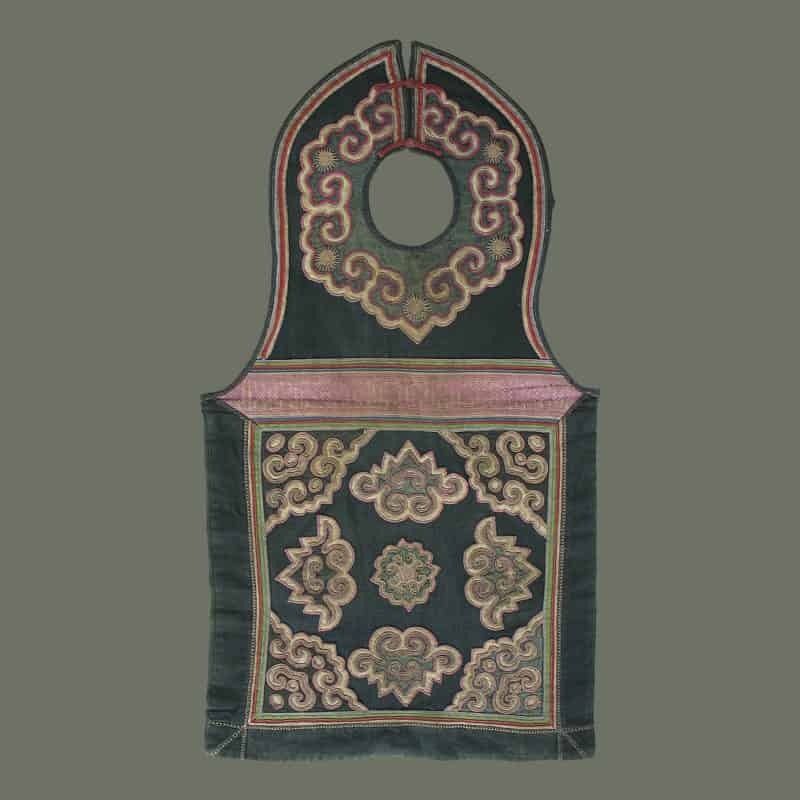 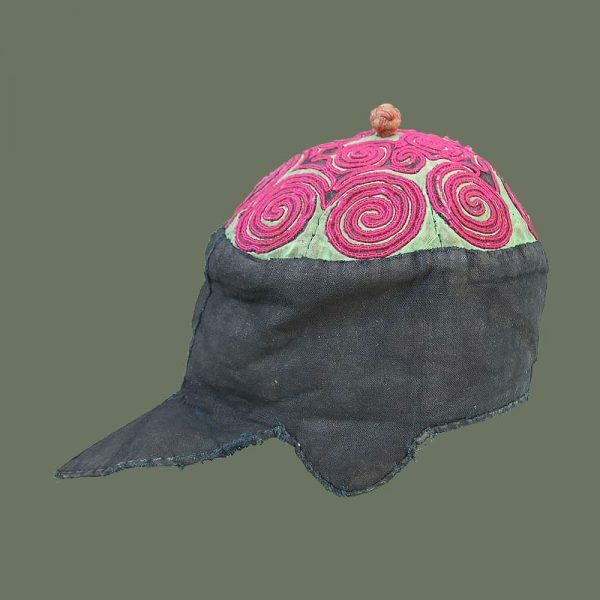 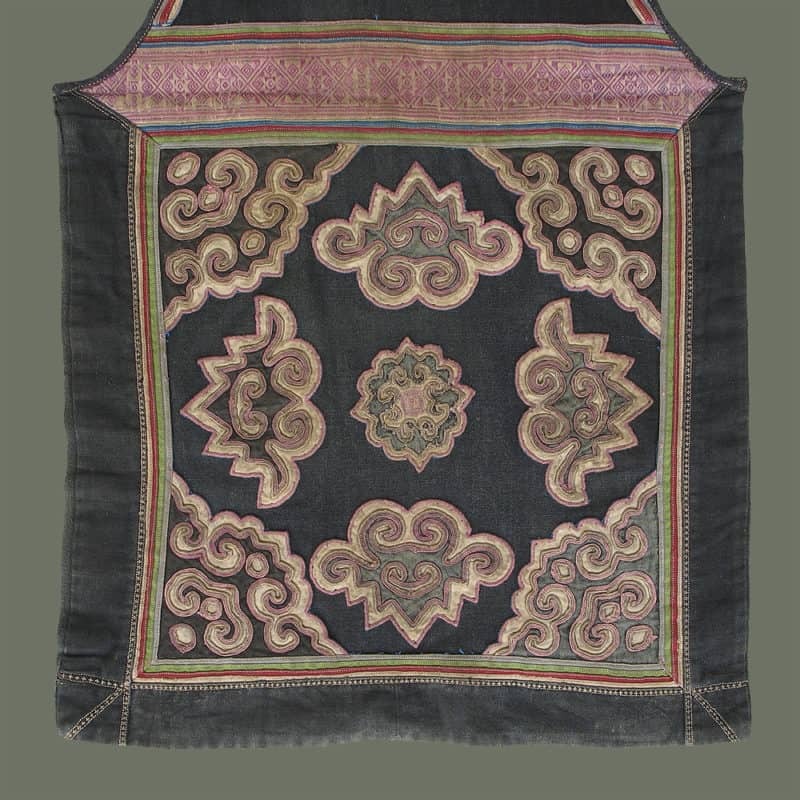 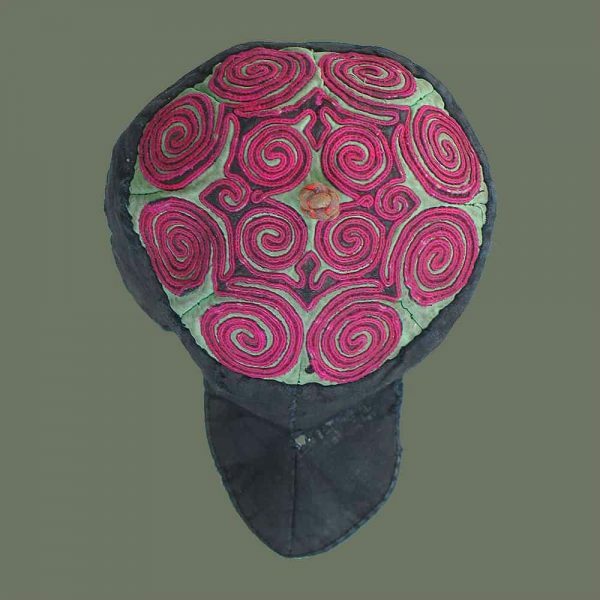 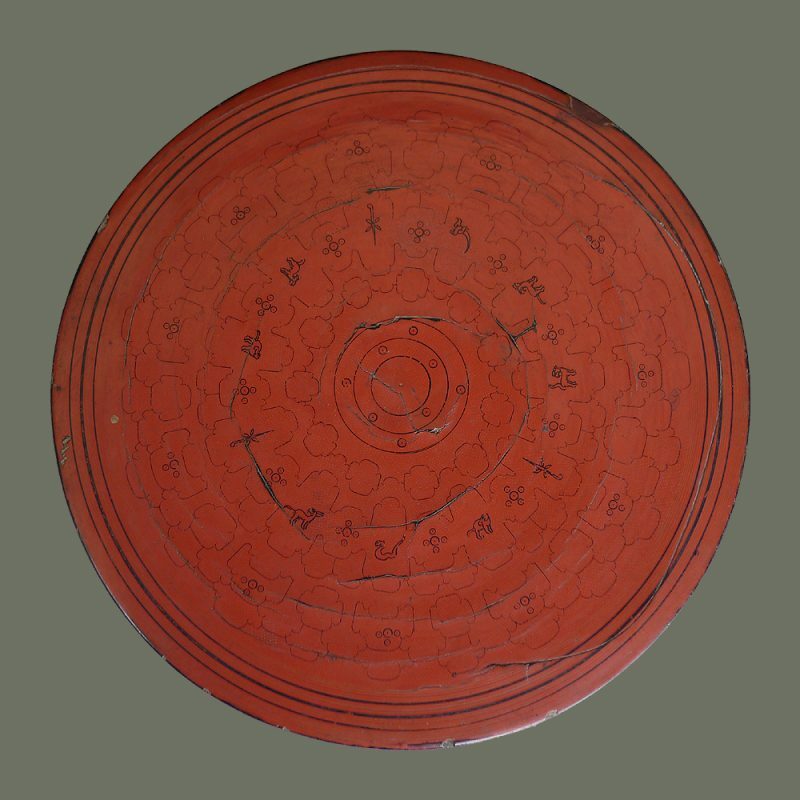 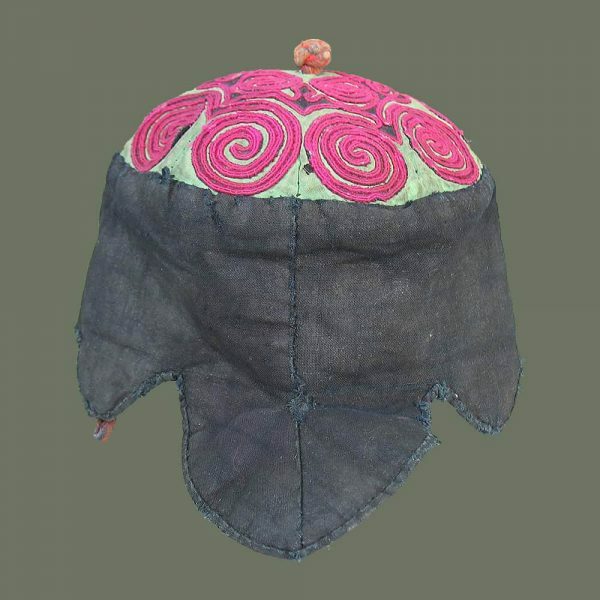 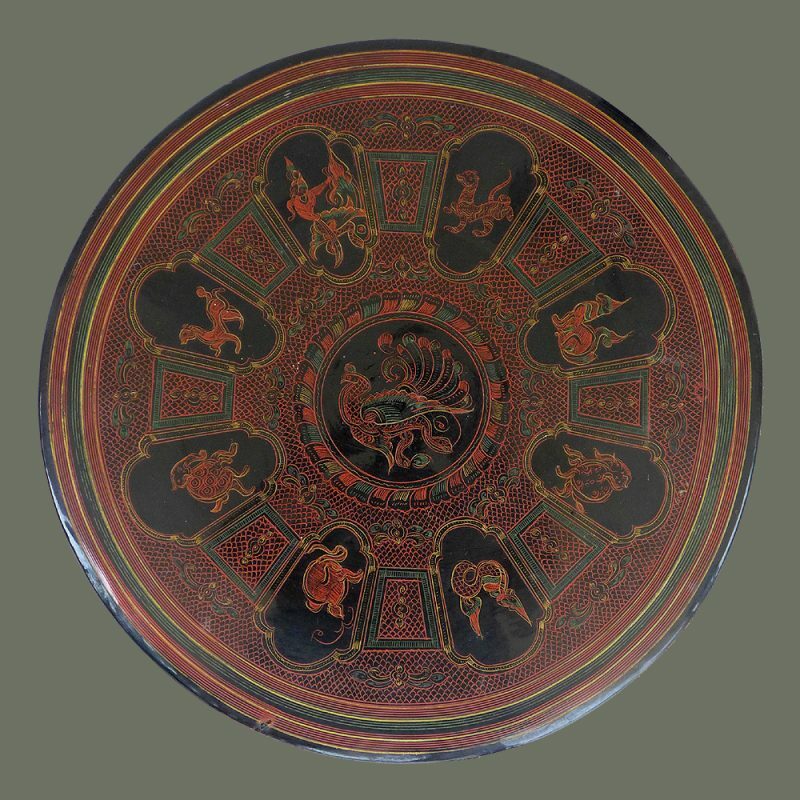 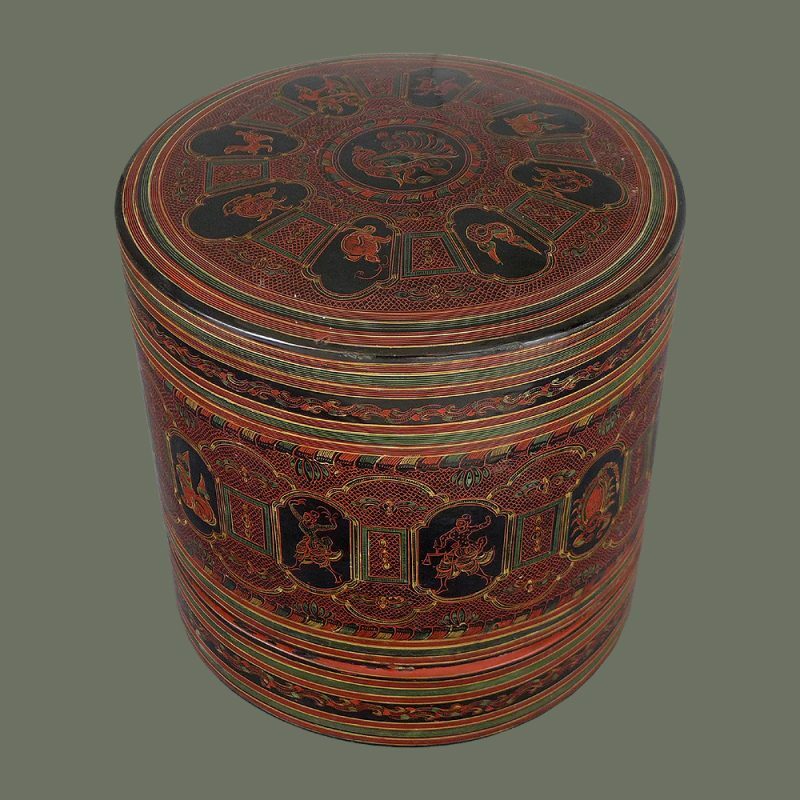 From a Miao group in southwest China, this small hat is probably for a boy due to the backflap/tail. 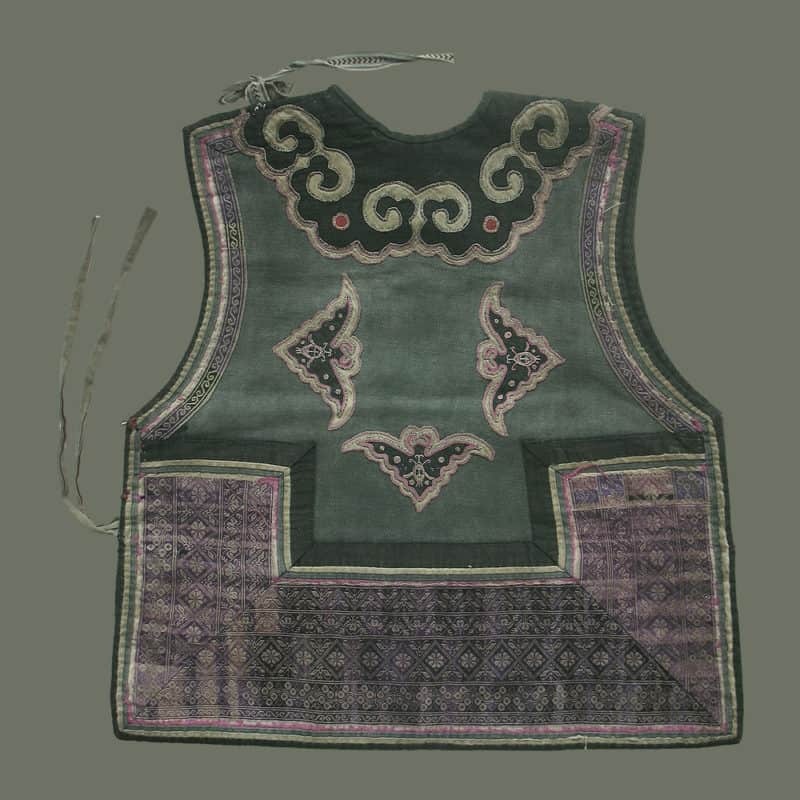 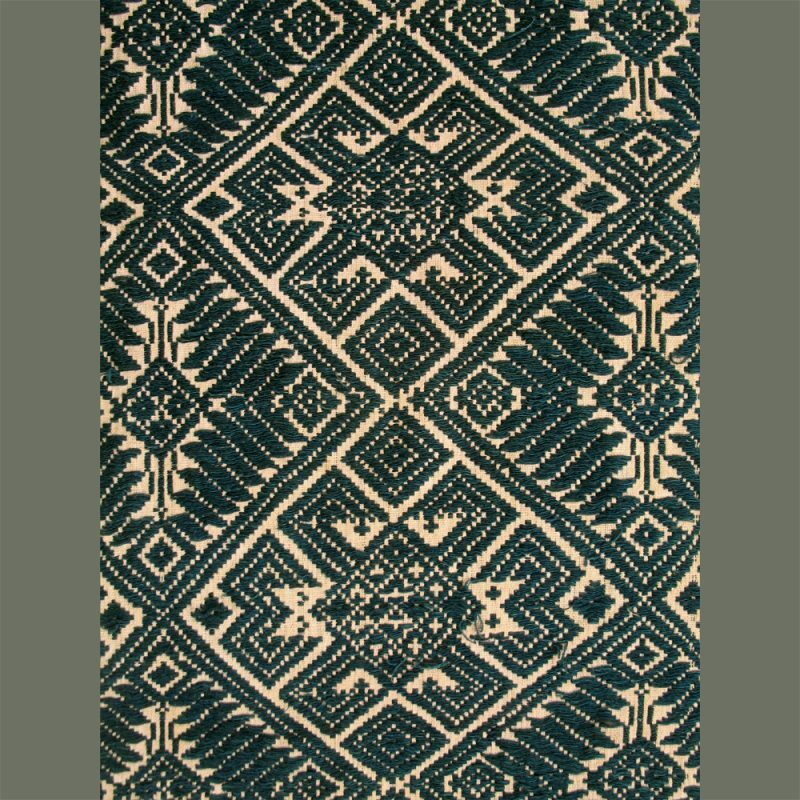 It has a strong graphic pattern of spirals done in applique with outlines of silk-wrapped horsehair. 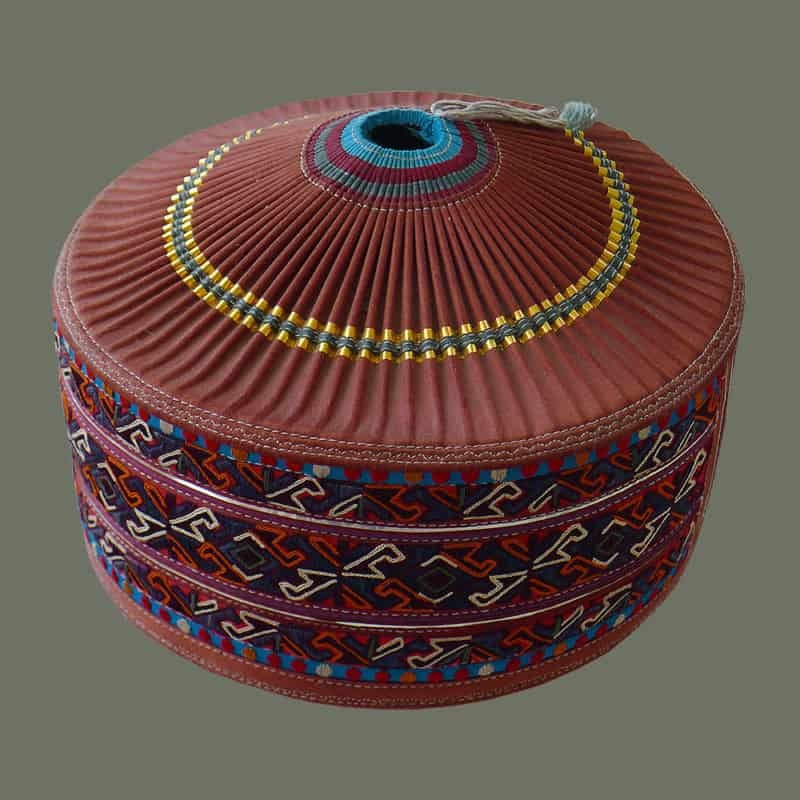 A special complex knot at the center tops it off. 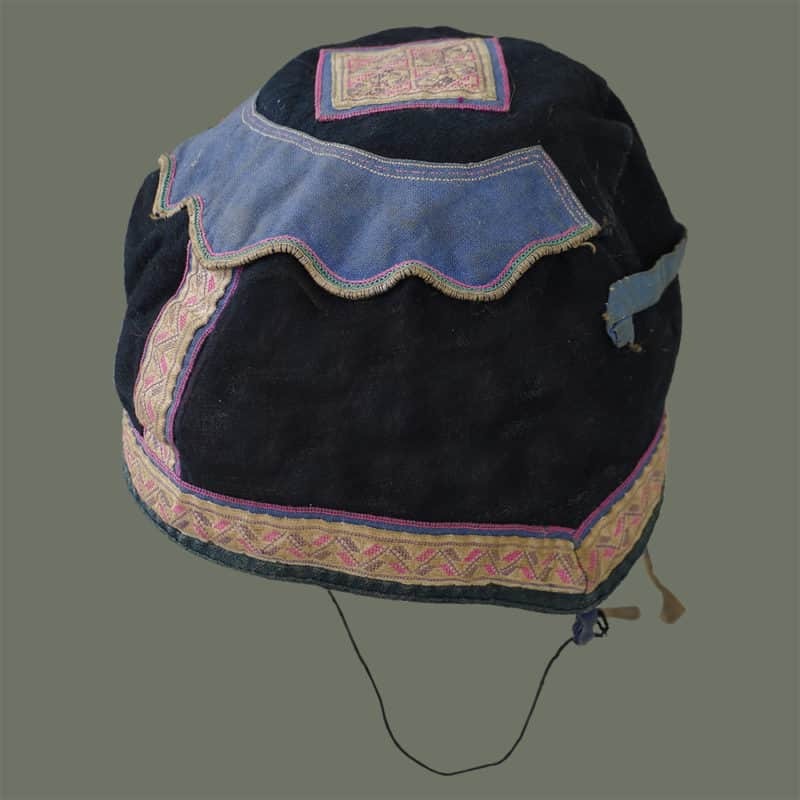 Condition is used, with wear to the edges and on the top, plus some repairs.